A wide selection of clinics and hospitals offer high-quality medical care, both private and national. The people from Gran Canaria are very health conscious indeed. People with mobility problems should always check they have booked accommodation in the flatter parts of the island. There are many English-speaking doctors. The local chemists (farmacias), recognisable by a green cross sign, will have just about anything you may require and there is always one open after hours in each area. The location of the duty chemist is indicated on every chemist’s door. 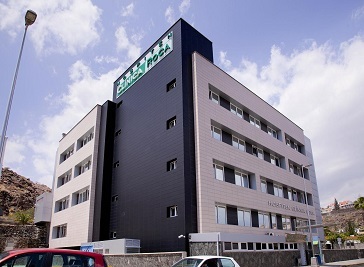 There are two main hospitals in Las Palmas. 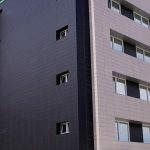 You’ll find the older Hospital Insular on the Avenida Marítima del Sur, just as you leave Las Palmas heading in the direction of the airport and the south. One of the most modern clinical complexes is the Hospital Dr. Negrin in Las Palmas where among many other specialists Dr. Alfonso Medinar, one of the leading heart specialists of the world, is practising. Hospitals San Roque Maspalomas and Las Palmas are part of the San Roque Group, committed to a model of excellence based on the social commitment and continuous improvement of facilities, services and technologies. We have multiple languages covered at our hospitals, or we will arrange a translator if necessary. The Grupo Hospiten (HOSPITEN Group) is an international network of private hospitals. All of our centres are equipped with the latest technological innovations in the medical and management fields, and are staffed by a team of recognised professionals providing the top-level healthcare services that characterise the HOSPITEN Group.